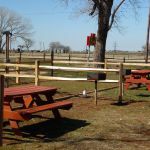 Ask fellow campers about "Burkburnett / Wichita Falls KOA" and nearby attractions. This KOA is not much to look at, but it is conveniently located off I-44 just across the Red River into Texas. They do have a drainage problem, and when it rains your site could be an island. The staff and management is friendly and helpful. We were led to a site that was high & dry. The interior roads are gravel and mud, and after it rains, which it just had, they are mud and water. I was told they are trying to grade them, when it stops raining. They kind of need a rebuild. The center rows of sites are all pull-thrus with two rows of opposing entry. There are back-ins around the perimeter mainly for permanents. Our site was gravel and level, but because of the rain the ground was quite soggy. You are quite close to your patio neighbor. At $41 I thought it was a little pricey for what you get. 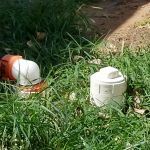 The hook-ups are close together and accessible, but some electric boxes are quite close to the ground. The cable TV was not very good so we opted to use the antenna. The Wi-Fi was adequate. The voltage and water pressure were good. Despite its warts, this is a nice park, and I will return here. We camped at Burkburnett / Wichita Falls KOA in a Motorhome. The park is close to Sheppard AFB and each afternoon the fighters practice touch-and-goes. It is a very impressive free air show. The jets are loud, but it is a good loud. Mostly pull-thru's with opposing entrances so people traveling together can open onto a common area in-between. Wi-fi dependable, even during peak hours. Spaces VERY close together. 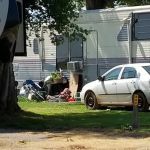 Long-term residents obviously not required to maintain their sites which gives the entire campground a junky feel. Mow large patches of grass occasionally but don't seem to know how to use a weed-eater, so almost all utilities are almost lost in the tall grass. 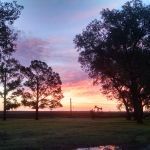 We camped at Burkburnett / Wichita Falls KOA in a Travel Trailer. The is a below average KOA with an above average price. The service at the desk was very good, however, unlike many other KOAs they did not guide you to your space. 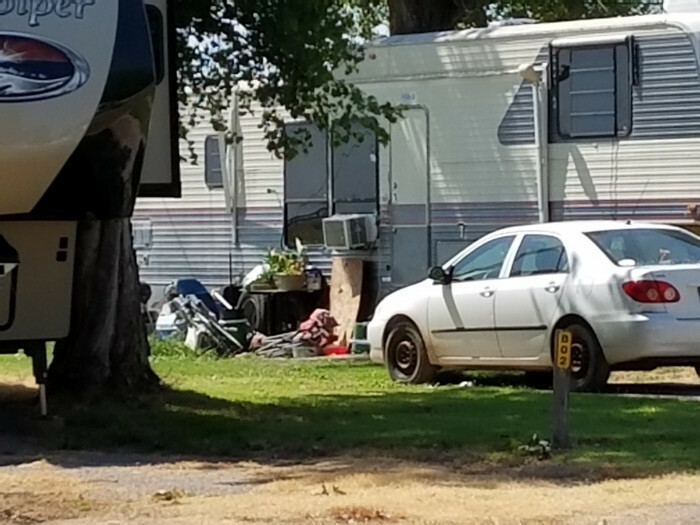 There were several very shabby trailers in the park including one motorhome with a window a/c stuck in a window and sealed around with pillows. I know the park is unable to control the weather but I do think they should be able to fill in low spots in the spaces and roads. When we were in the park there was a rain storm that left us literally wading in the morning to hook up and get on the road. I would not stay at this park again if we were traveling through that area. We camped at Burkburnett / Wichita Falls KOA in a Fifth Wheel. In reading earlier reviews, this park must have substantially improved. Warmly greeted upon arrival. Escorted to site and was told they moved us over for more shade and sewer. This was just one night. Site level although gravel. Cable TV excellent - best we have seen in many a park. We camped at Burkburnett / Wichita Falls KOA in a Motorhome. A little ways off the interstate in a rural setting. Quiet park, large sites, some shade. WIFI was adequate but not fast or always available. Clean restrooms. We camped here overnight in a motorhome. We camped at Burkburnett / Wichita Falls KOA in a Motorhome. Don't know why we didn't check the reviews before we booked this campground or we wouldn't have stayed here. The other reviewers described it perfectly. There are tons of burs which got into our dogs paws to the point we had to carry one of them. Full timers don't maintain their sites and its just generally a run down place that we won't stay at again. My husband says its like an RV graveyard, when you want to retire your old RV, bring it here and drop it off. The reception person was very nice and friendly. When we realized we hadn't packed cooking oil and the KOA store didn't have any, he gave us a cup of his own oil. Needs tons of work and KOA needs to monitor it closely. We camped at Burkburnett / Wichita Falls KOA in a Motorhome. The only reason we have given this campsite a couple of points is that the staff were lovely and the restrooms/showers were clean and the cable was ok. The rest of the park was awful. It is basically a field with scrub grass that had not been mown, the sites and roads, and I use that term lightly, are rutted and scrub grass and dirt. The reality is nothing like the photos on the KOA website. There are many full time old campers which were scruffy with lots of junk at the sites. It is totally overpriced and we have contacted KOA HQ and asked for a refund but so far we have not had a response. We tried to answer the KOA survey sent after a stay but I guess as it was not a good review there was an error and it would not send. We camped at Burkburnett / Wichita Falls KOA in a Fifth Wheel. This KOA has an excellent friendly staff and very clean restrooms. The utilities function good with no problems. The WiFi is useable. The sites are close and could some additional gravel; ours was muddy after a rain/snow and we tracked mud into the unit. Also, there is a large number of permanent residents. Ok for overnight. We camped at Burkburnett / Wichita Falls KOA in a Motorhome. We stayed over Memorial Day weekend and the visit started good with helpful check-in staff. Went to the pool and it was very crowded. All the lounge chairs and tables were taken with people and coolers. Found out the campground lets locals pay a "day use fee" and use the pool. Things got rowdy with a couple arguing and speeding off then the police show up. Probably will not return. Restrooms and showers were very clean. We camped at Burkburnett / Wichita Falls KOA in a Motorhome. Camp host assisted us getting late after dark. Very friendly! KOA took this park over a couple of years ago and has made major improvements. We enjoyed our stay and would definitely stay here again. Good job! We camped at Burkburnett / Wichita Falls KOA in a Motorhome. I stayed here for 2 days. Campground elevation is 1,028 feet. Maneuvering my 40 footer towing a dinghy in the park was ok. Roads are gravel, sites and patios are grass. Site spacing is fair. Pull through sites hold a 40 foot motorhome and tow. My site 37 offered 30/50 amp service & full hookups. Wi-Fi and cable TV were included in daily rate. I was able to receive AT&T Wireless G3 Internet & Cellular service. I received Dish Network 110/119 Satellite TV from dish on roof of motorhome. 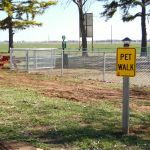 Campground is pet friendly. Wal-Mart is 10 miles and a grocery was 2 miles away. I am unable to comment on other amenities due to not using them. 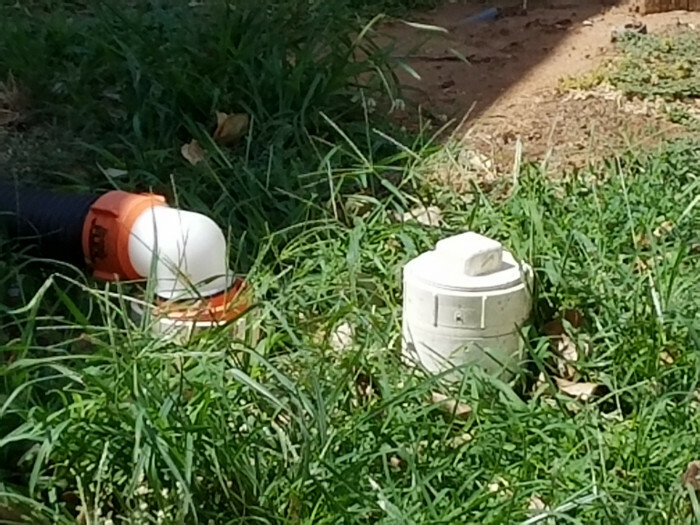 My site was a little bit muddy due to recent rains. Campground is small and quiet with minimal road noise. I would stay here again. We camped at Burkburnett / Wichita Falls KOA in a Motorhome. I stayed here 3 days in a travel trailer. The water, electricity, sewer, & cable TV all worked perfectly. The campground staff were friendly and helpful. The site was all grass, and it was level with large shade trees. There was a nice, little, clean swimming pool. I recommend this rejuvenated KOA. 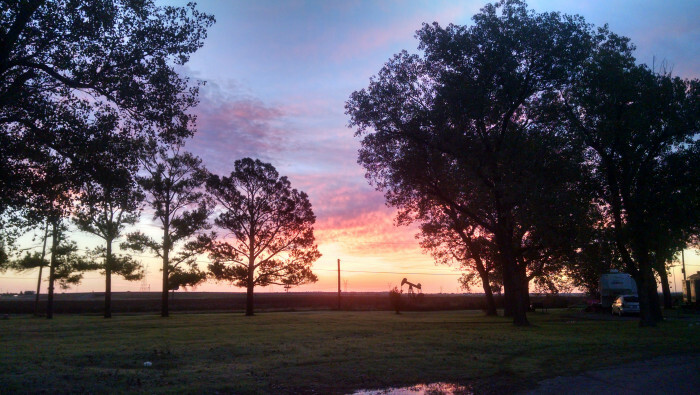 We camped at Burkburnett / Wichita Falls KOA in a Travel Trailer. The park itself is nice, and the new owners are trying to fix all the problems and we give them credit for that. They are very nice, but the park has a severe electrical shortage!!! When the park filled up for the Hotter Than Hell Bike Ride, the breakers kept blowing. A lot of us had problems that weekend. One motorhome ran their genny just so they could run both air conditioners. The pool, a salt water pool, is not heated. The showers were clean but had very little hot water. Might return next year, but we hope they have fixed it up. We camped at Burkburnett / Wichita Falls KOA in a Motorhome. 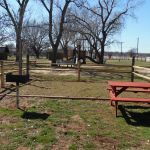 This is a good park located just north of Wichita Falls and right off of I-44. We arrived at 9:30pm and were surprised to see that the office was still open. The manager escorted us to our site and helped with his flashlight to ensure proper hook-ups. We had a grassy pull through site on the north side that accommodated our motorhome and toad without requiring us to unhook. The sites in this section had shared hook-ups, but it was not a problem. Also, although there are numerous trees in the park, the north side has fewer trees which allowed for good satellite reception. My only complaint about this park is the very low water pressure we experienced. I hope they can correct this. The staff here are some of the friendliest we have encountered anywhere. We will stay here again. We camped at Burkburnett / Wichita Falls KOA in a Motorhome. Are you affiliated with Burkburnett / Wichita Falls KOA ?